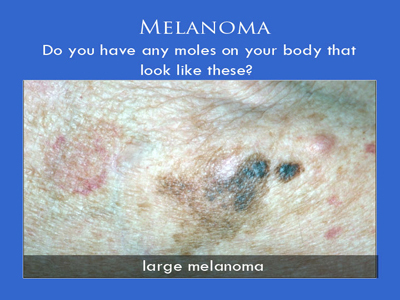 Melanoma skin cancer grows at different rates depending on many different factors. 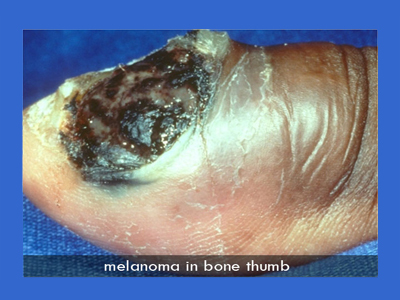 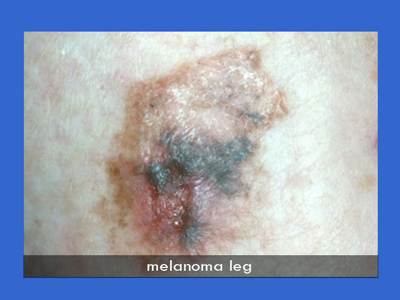 Early diagnosed melanomas can be fully curable, but neglected tumors can spread to different organs. 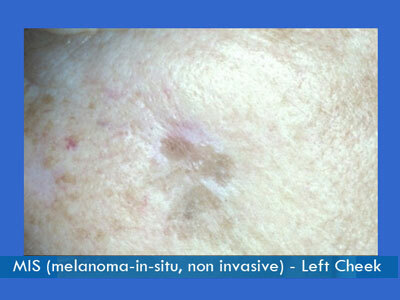 This metastasis can occur faster than with other skin cancers. 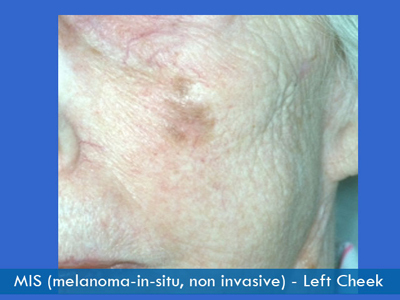 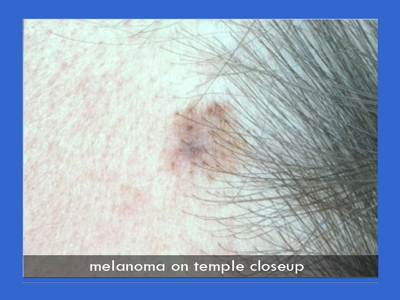 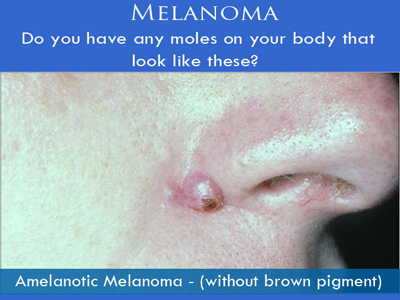 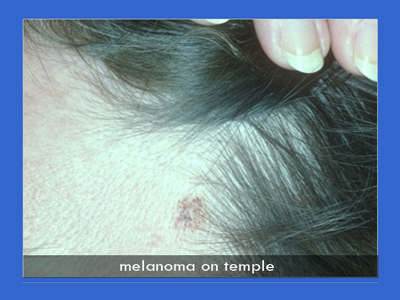 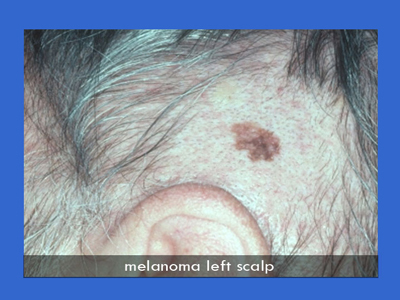 Melanomas usually have some different shades of brown in their clinical appearance, but blue, grey, white and red can be seen as well. 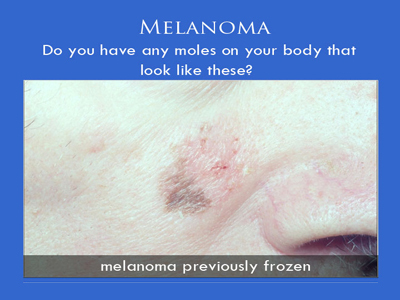 Any enlarging mole, brown spot, or any colored mark that changes should be checked.